Coffee lover? Soup fanatic? Partial to a mulled cider? Nothing beats a hot, delicious beverage now it’s winter! A steaming cup of something warm to awaken your taste buds in the morning, give you a mid-day pick me up or to enjoy at the end of a long cold day can help you beat those winter blues. Klean Kanteen – creators of only the highest quality reusable products on the planet – have shared some of their best winter warmer recipes, perfect to enjoy in their new Klean Coat range of insulated bottles, allowing you to keep your warm winter treat hot for up to 8 hours! The Klean Coat range of insulated bottles and tumblers presents a new standard in durability and safety for people and the planet and are 4x more durable than the previous range. The new range introduces a chip-resistant, durable Klean Coat finish that is designed with care to stick with you throughout all seasons as it will also keep your summer beverages cold for up to 24 hours! Klean Kanteen introduced the first ever stainless steel, BPA-free, reusable water bottle in 2004 as a non-toxic solution to single-use plastic water bottles. 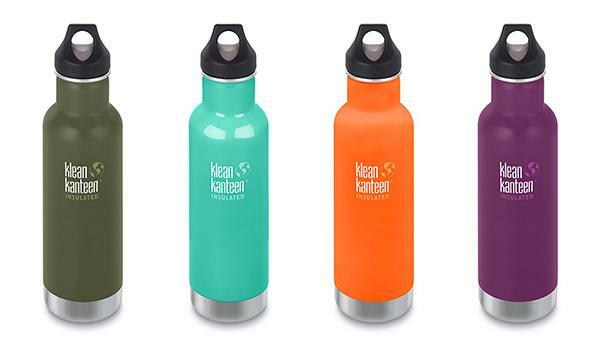 As a Certified B Corporation business, Klean Kanteen is part of more than 2,000 global companies that are working to redefine success in business through high standards of environmental consciousness, accountability and performance. Following are Klean Kanteen’s winter warmer recipes for The Perfect Dirty Hippy and Hot Mulled Cider to help you and your clients/members beat the winter blues. Heat water and milk over medium heat in a sauce pan until small bubbles appear around the rim of the milk. Add tea, sugar and all the spices. Stir frequently and make sure the spoon contacts the bottom of the pot to prevent scalding the milk. When the milk begins to boil, back off the heat until it has stopped. Continue to stir frequently. Bring up to a boil once more and back off again while stirring. Strain out into your favourite insulated Klean Kanteen. Brew the espresso in whatever espresso/coffee making device you have on hand. If you don’t have an espresso machine, brew the strongest coffee you possibly can and substitute that. Pour one shot of espresso into every cup of chai that you make. Step 4 – Enjoy, using your Klean Coat bottle to keep it hot for up to 8 hours! Step 6 – Enjoy, using your Klean Coat bottle to keep it hot for up to 8 hours!